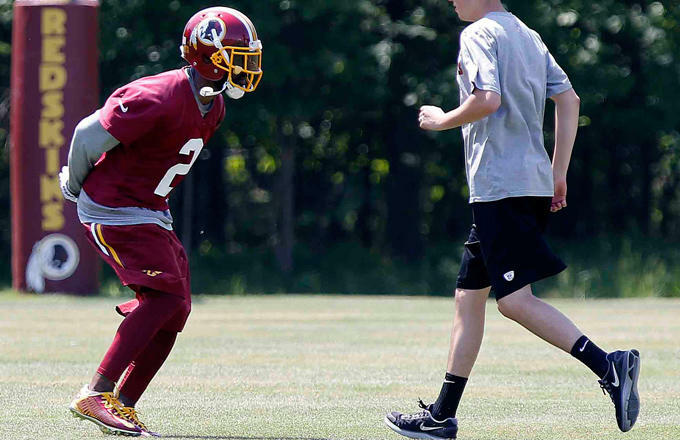 NFL training camps are one of the prime places to get stuff from athletes, whether it's cleats, helmets, jerseys, autographs and more. 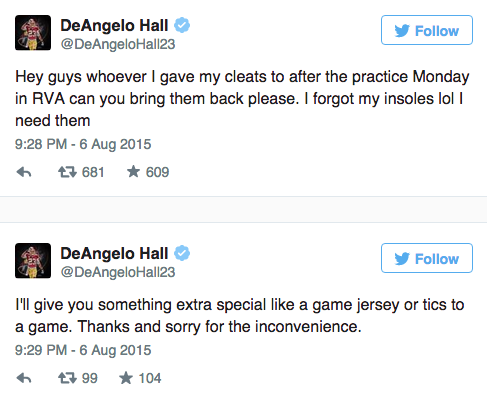 One fan at the Washington Redskins training camp got some cleats from cornerback DeAngelo Hall. However, Hall now wants them back. Hall says the cleats have special insoles inside of them, but he will give the fan something special if he can return the cleats back to him.